"Walking around and offering kindness to others in the world reduces anxiety and increases happiness and feelings of social connection"
We all have our own way of lifting our spirits. Some need a good workout, others prefer chocolate. Researchers from Iowa State University conducted a study to discover the best way to feel good about ourselves. The study was carried out by Douglas Gentile, Dawn Sweet and Lanmiao He from the university's psychology department. They tested three different techniques to reduce anxiety and increase happiness. The investigation required three groups of students to walk around campus for 12 minutes, practicing different approaches. The first group practiced Loving-kindness. This involved looking at everyone they came across and thinking "I wish for this person to be happy." The students were asked to truly mean it. The second group practiced interconnectedness. They would think about how connected they were to the people they came across. The students were suggested to think about feelings, emotions, ambitions and even classes they might share with those they saw. The last group would have to make a social comparison. They would have to think about how they're in a better position than the people they come across. The experiment also included a control group which had to analyse people superficially. Based on clothing, accessories, make-up, etc. 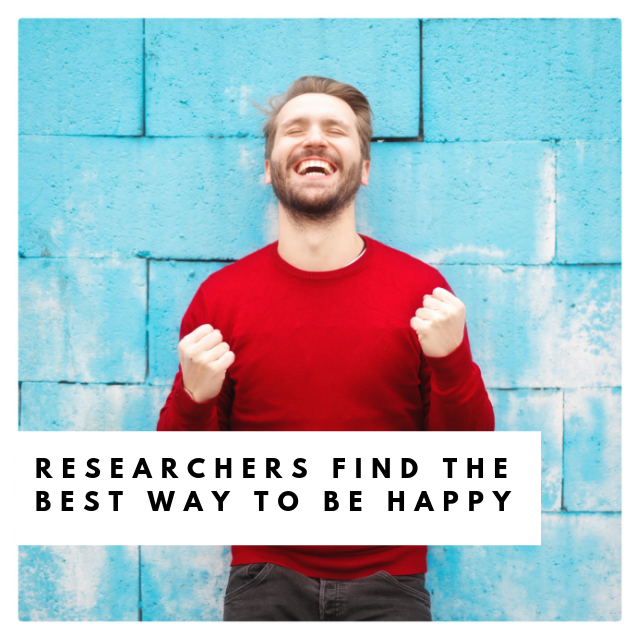 The researchers examined the students' levels of stress, happiness, empathy and connectedness. The researchers found those who practiced loving-kindness towards others felt happiest. They felt more connected and empathetic, whilst feeling less stressed. The students who practiced interconnectedness, felt more empathy and connectedness than before the study, and the social comparison group, showed no benefit of any kind. Students practicing interconnectedness and social comparison, felt less empathetic and connected than those who practiced loving-kindness. Furthermore, other studies have shown that the negative effects of practicing social comparison multiply if we're feeling bad about ourselves. "Walking around and offering kindness to others in the world reduces anxiety and increases happiness and feelings of social connection," said Douglas Gentile, professor of psychology. "It's a simple strategy that doesn't take a lot of time that you can incorporate into your daily activities." He added. Researchers also examined how differing personalities reacted to the techniques. The researchers expected those who were empathetic by nature to benefit from loving-kindness. They also assumed those of a narcissistic temperament to have difficulties practicing loving-kindness. The results astonished the researchers. The results of the experiment, validate the benefits of Bhakti Yoga, the yoga of love and devotion. In Bhakti yoga, aspirants practice unreserved and unconditional love for all people and all beings. It is considered the quickest and safest yoga for the evolution of the self, in the current age. Douglas Gentile believes the results are very relevant to online interactions. Social media is the hub of comparisons. A place where we quickly display our possessions, experiences and physical attributes. The results of the study, would indirectly attribute much of our stress to social media. "It is almost impossible not to make comparisons on social media," Gentile said. "Our study didn't test this, but we often feel envy, jealousy, anger or disappointment in response to what we see on social media, and those emotions disrupt our sense of well-being." Comparisons are beneficial during learning, or while making choices. In our childhood, we learnt by watching others and comparing our actions with theirs. When it comes to happiness, comparison and competition are of little help. Loving-kindness however, inevitably increases happiness levels .